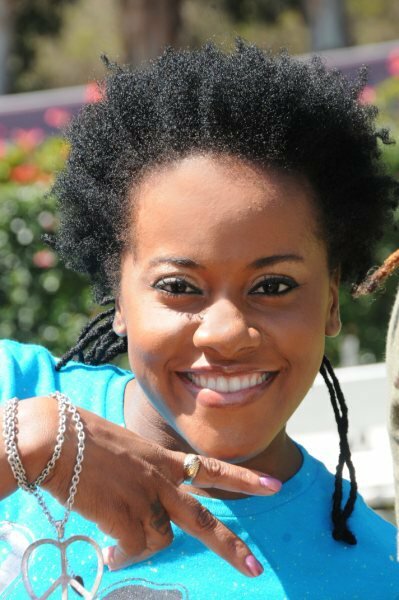 Caribbean Lifestyle Media-Etana graced the stage at the largest student run event in the US. It is the UCLA JAZZ REGGAE Festival held on Memorial Day with other top performers such as, Damian “Jr. Gong” Marley , Q-Tip, Raphael Saadiq and Barrington Levy . The Festival saw its 24th staging where the ‘strong one’ represented well as an ambassador for Jamaica’s female talent. Etana also took part in the Soul Rebelling, Buy-A-Block initiative which saw it's latest project come to light with the Orange Bay Basic School in Hanover, Westmoreland. Soul Rebellion believes that by improving the condition of the schools in Jamaica, education will become better. The event has been running since 2006 and included other influential entertainers.